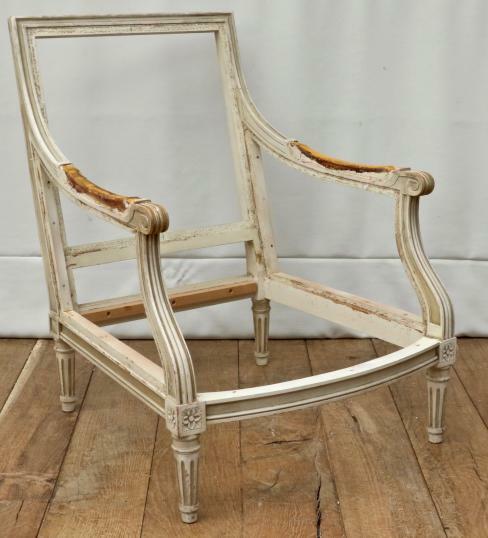 A long arm pair of old French Louis XVl fauteuils. Since taking this photograph, we have added a small turning to the base of each foot to give the chair a more contemporary height without damaging the authenticity of the chair. If you are interested in this piece or would like more details please call us on +64 9 529 1660 or email info@js.co.nz quoting #102-40.